Founding president, SAVIA Associates International. Inspired by the DSR (Dutch Sustainability Research) and Respect’s report that published findings of a benchmarking study on climate change best practices as reported in www.iNSnet.org of December 9, 2007. SAVIA Associates International, www.susaviation.com, established to deal with strategic planning for the aviation industry incorporating the demands of the climate crisis. The SAVIA Climate Crisis Aviation Leadership Certification or SCCALC consists of internationally recognized best climate crisis practices indicators such as the World Resources Institute’s GHP Protocol. Use of this common standard increases transparency, contributes to a global standard and also makes it possible to compare results between organizations. These indicators will determine the quality of climate crisis leadership in the aviation industry. The SCCALC program will issue the SCCALC Label for those organizations that have reached a clearly defined level of accountability of their emissions profile and of best practices that include specific targets that are measurable and reportable. 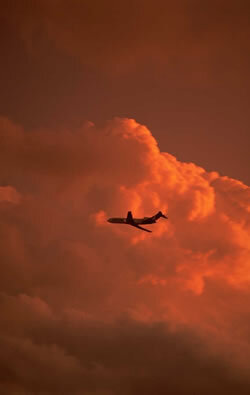 The SAVIA Policy Briefs and SAVIA Resources sections will assist the aviation industry in measuring up to the challenges of these troubling times of the climate crisis and in developing strategic planning and evaluation methods. The aviation industry will be challenged by the citizen sustainable aviation movement, flying public and governments to shoulder its responsibilities for stopping, reducing GHG emissions caused by the passenger and cargo air transportation system. Green-washing and rhetoric will be disguised by an ever awakened citizenry and pro-active governments. Regular reports of best practices in the aviation industry are important to summarize what has been accomplished and demonstrate best practices to inspire others to take action. Reports also provide transparency by presenting the organization’s emission profile and key indicators. Survey the aviation industry starting with the airlines and invite them to join the Aviation Climate Crisis and Sustainability Partnership (ACCSPA) which could consists of different types of businesses in the aviation industry, government aviation related agencies, citizen sustainable aviation movement organizations. Presently, ACCSPA has three members: SAVIA, SAFE, Inc., Citizens Aviation Watch, USA, Inc.
Write short articles in newsletters of those three sectors inviting them to join ACCSPA and engage them in discussing SAVIA policy briefs, in working towards the adoption of the IITS Initiative and its associated ISATEA legislation in the USA , etc. Where are the leaders in the civil and military aviation industry in the face of the climate crisis emergency? To comment, for more information, or membership information please use the contact form provided here.